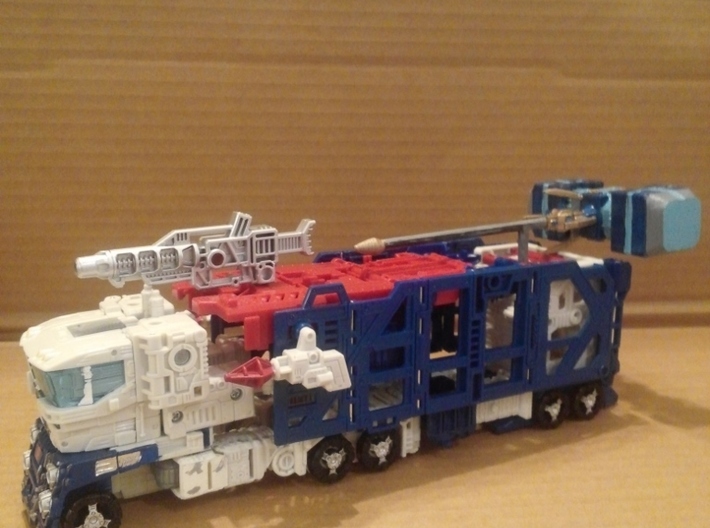 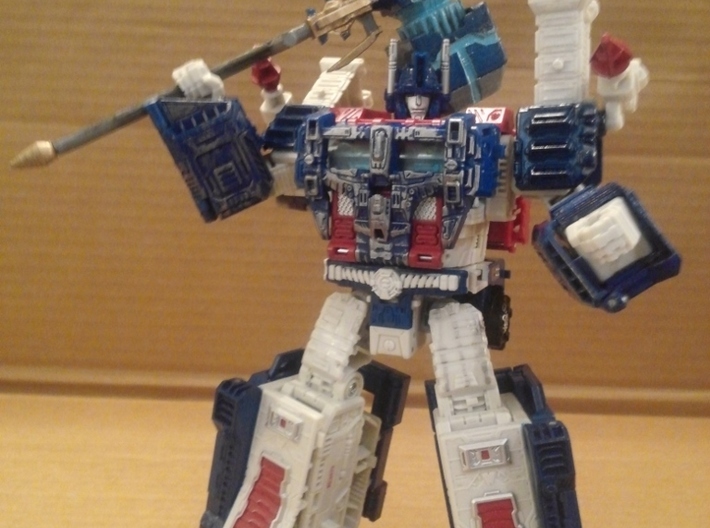 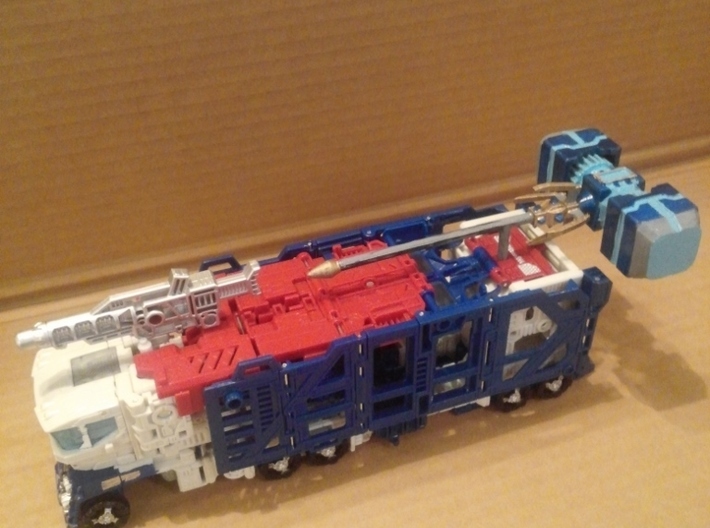 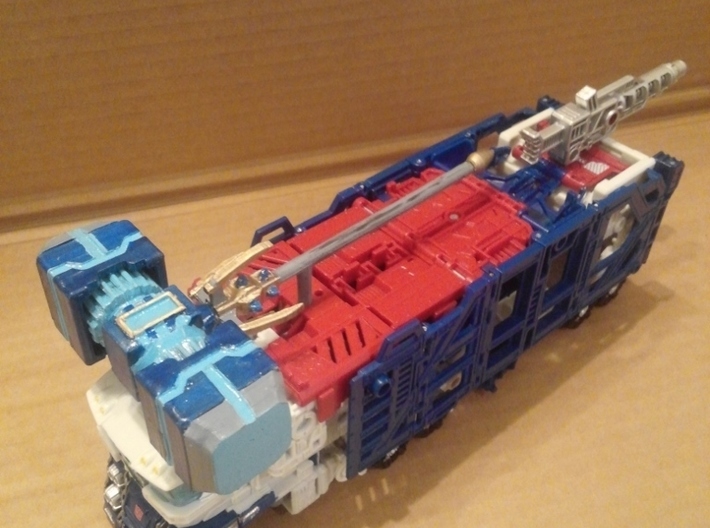 This is a kit that is a large Hammer and replacement forearm armor for the Transformers Generations: War for Cybertron - Siege Leader Class Ultra Magnus figure. 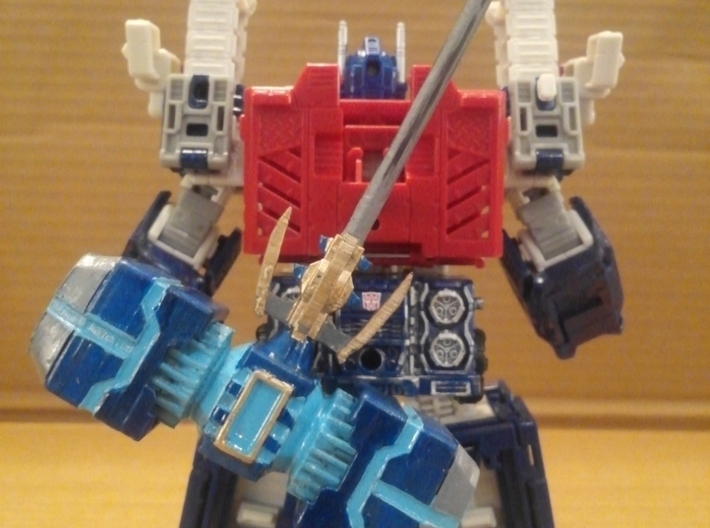 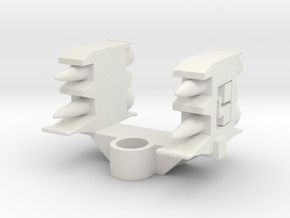 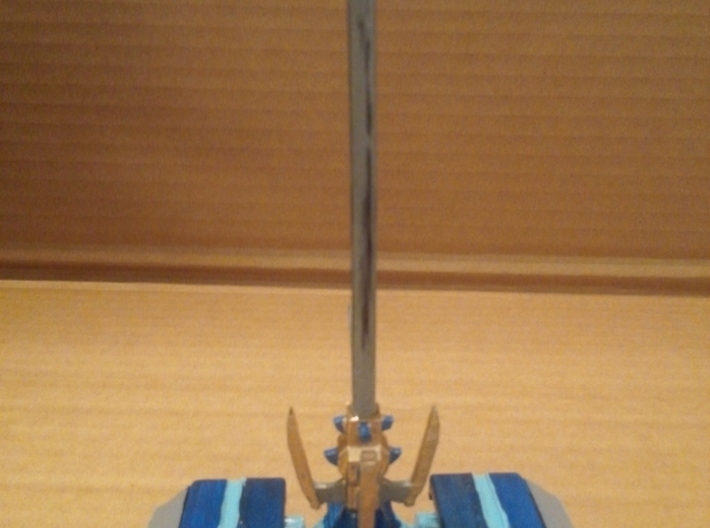 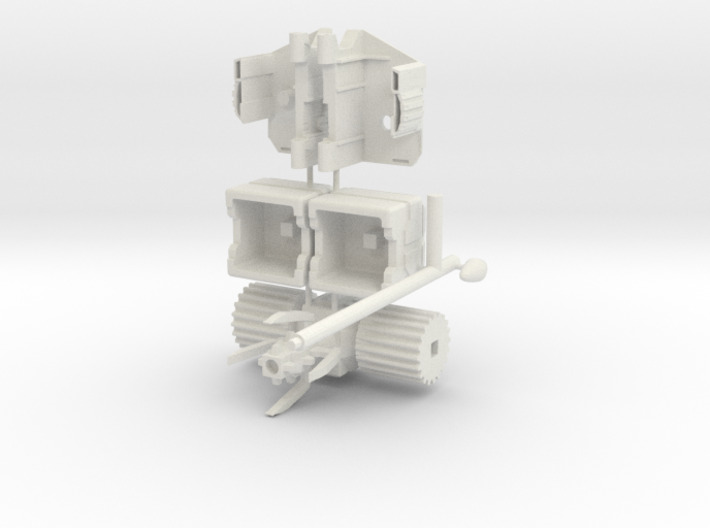 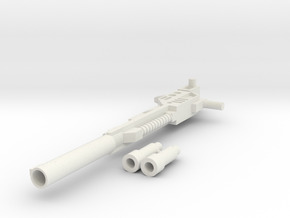 The Hammer's handle is 5mm, so although it is primarily meant for Ultra Magnus, other figures can wield it as well. 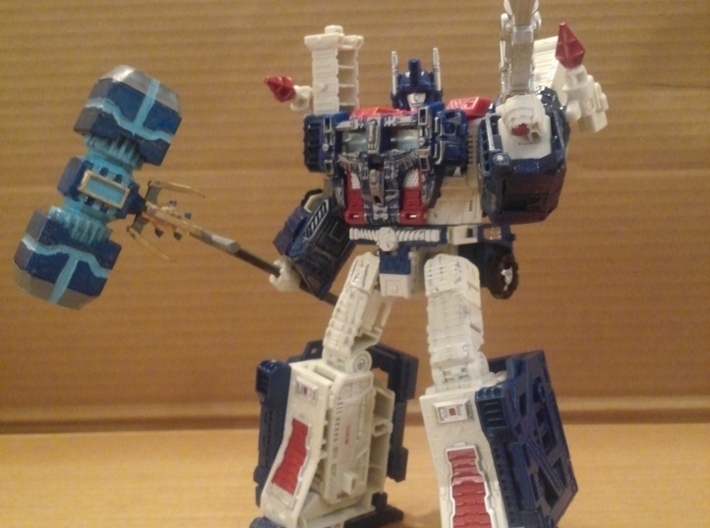 The design of the Hammer is a Fusion of the Magnus Hammer seen in Transformers: Animated, and the Forge of Solus Prime as it appeared in Transformers: Prime. 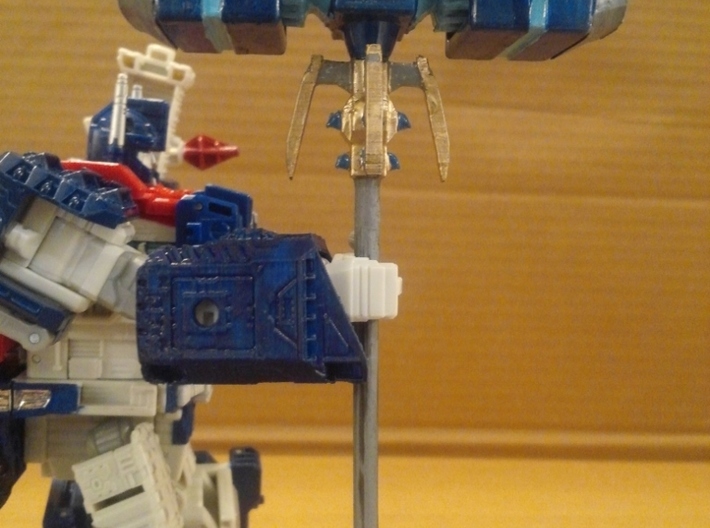 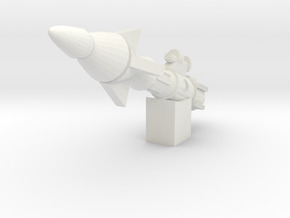 I don't recommend using this hammer with figures smaller than Voyager Class however, as the Hammer is slightly top-heavy, and thus smaller figures could potentially lose stability when attempting to hold it. 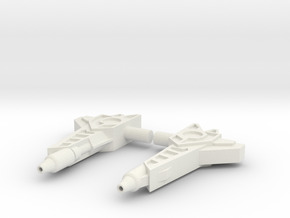 The replacement forearm armor parts do require the original metal pin and the inside pieces of the forearm armor from the stock set included with the base figure, so as you try to install the pin in these new parts, if the pin fits a little tight, I recommend manually using a small drill bit to slowly and carefully slightly widen the pin holes until you get an easy but still snug fit.